The Volkswagen brand just announced the lineup for its 2018 fleet at Southern Wörthersee: The European Experience in Savannah, Georgia. This year's cast is made up of five fresh and face-lifted cars in VW's lineup, four of which sport a bright yellow theme. And although you wouldn't know it from the massive warranty-voiding disclaimers tacked on to its social media posts, Volkswagen is very in touch with the cult-like enthusiast community it's created. 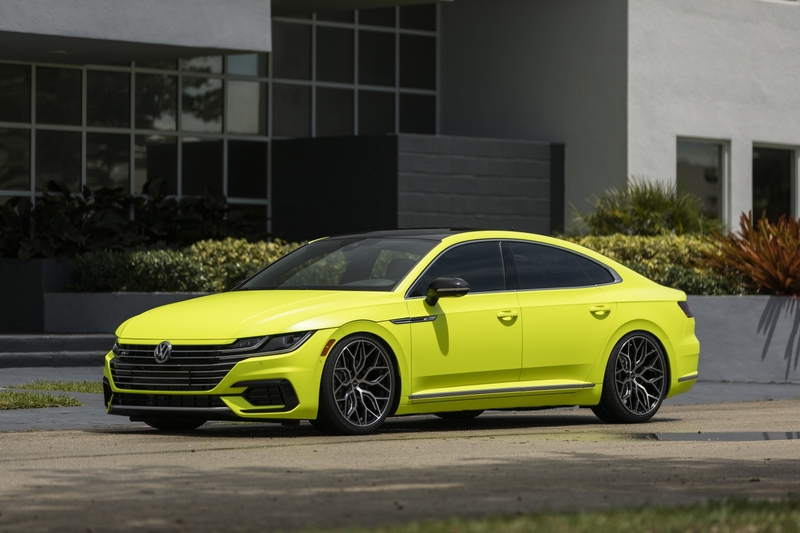 For a few years now, the U.S. branch of VW has been crafting an enthusiast fleet of concept vehicles to show off at car events around the country. 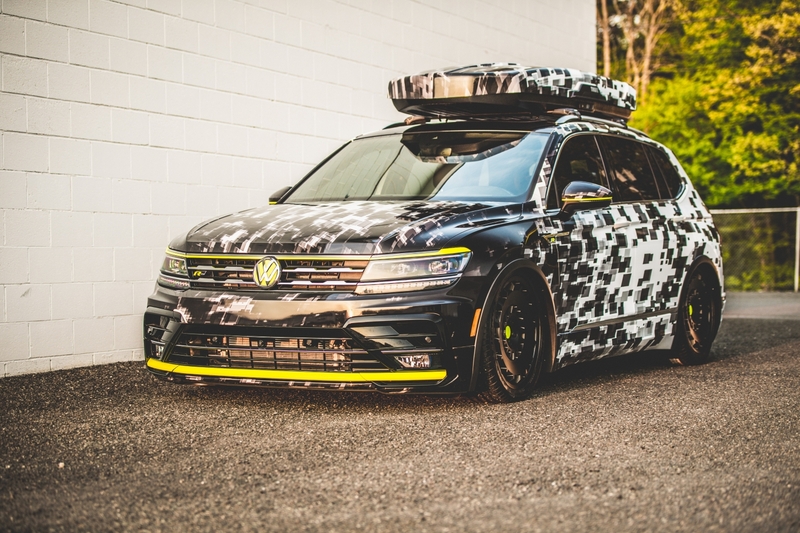 The first and the fastest of the bunch, the Golf R Abstract Concept boasts what the press release calls a "unique camouflage print wrap" that Volkswagen says is inspired by the urban environment in Miami where tuner ABT Sportsline's North American headquarters is located. Thus, the car features a handful of parts from ABT, including a stainless steel exhaust system, side skirts, and Mystic Black 20-inch FR wheels. Volkswagen also added a BAK Performance carbon fiber steering wheel and H&R Sport springs that drop the car's suspension by one inch. 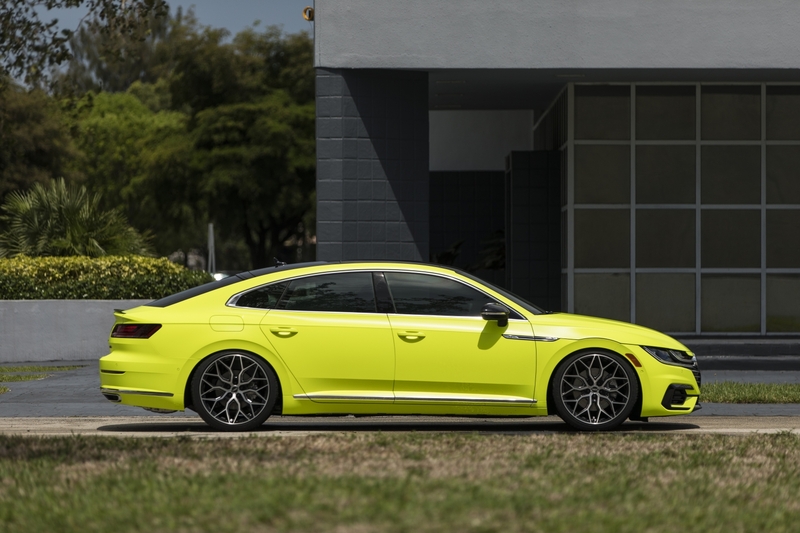 The Arteon R-Line Highlight Concept features the yellow wrap and not-yet-released Vossen Wheels Hybrid Forged HF-2 wheels. It sits on an H&R Ultra Low coil-over suspension, lowering the car a whopping three inches. While we won't get the beautiful new Arteon until later this year, Volkswagen says the European tuner community has already proven that the car has excellent modding potential, and this concept reflects it. For the new generation of Jetta, Volkswagen took much of its design inspiration from the second-generation car from the 1980s. 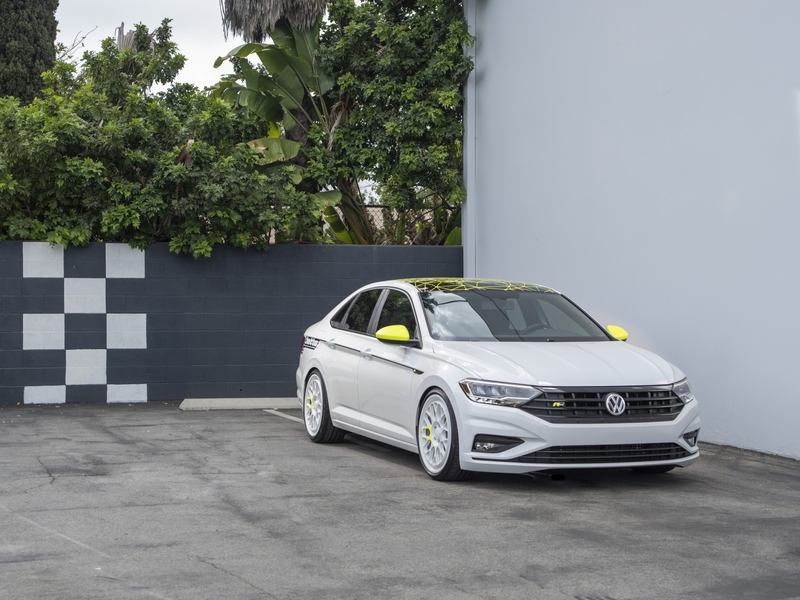 The 2019 R-Line SoCal Concept's modifications, especially its white and yellow paint job, are a further throwback to the Mk2 Jetta, although this car was done almost entirely by fifteen52. The wheel designer added a set of its Formula GT 19-inch wheels, and let KW Automotive build an ST XTA coil-over suspension system, also dropping the car three inches. 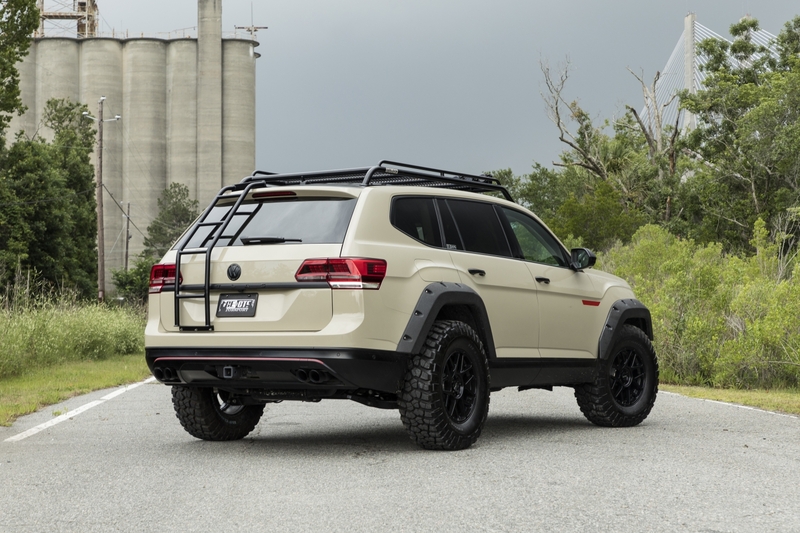 It may be weird enough that the new Tiguan is getting an R-Line appearance package, but the Aero Concept takes it an entire leap further with a camo wrap, Thule AeroBlade Edge roof rack, and 20-inch Rotiform Monoblock CCV wheels powder-coated in matte black. Like the other concepts, the Aero's suspension has also been tweaked, but with an Air Lift Performance 3P Air Management System that can lower the crossover by 4.8 inches if desired. 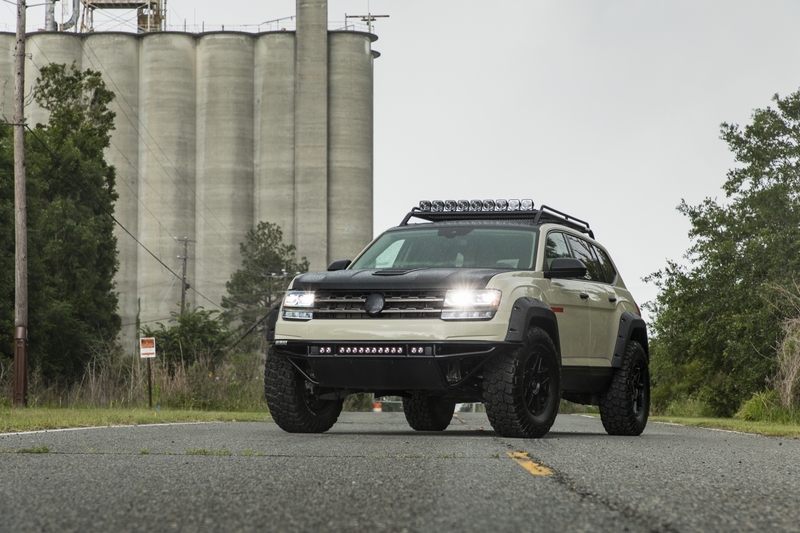 The 2018 Atlas Tanner Foust SEMA build goes all out with off-road wheels and tires, light bars, extended fenders, raised front bumper, and a roof rack. Named for VW enthusiast and Formula Drift, Rallycross, and stunt driver Tanner Foust, the Atlas also has plaid inserts in the seats inspired by the Golf GTI. 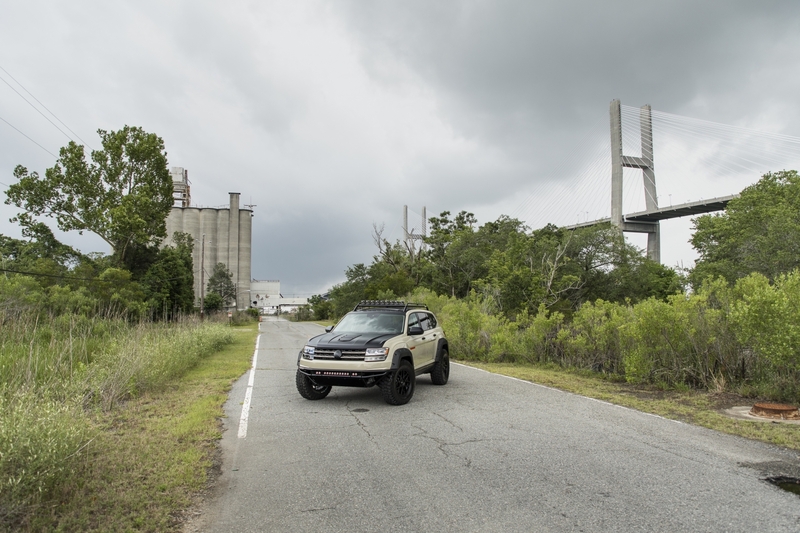 "The Atlas is perfect for off-pavement trips, and I wanted this concept to enhance the vehicle’s capabilities while still maintaining its utility and VW DNA," commented Foust. You can catch all of these vehicles at SOWO on Hutchinson Island in Georgia May 17-20, the first stop on Volkswagen's 2018 United States car show tour. The fleet will then head to Euro Hanger in Michigan, Waterfest in New Jersey, Wolfsgart in Vermont, VAG Fair in Pennsylvania, SoCal Big Euro in California, and Pacific Waterland in Oregon.